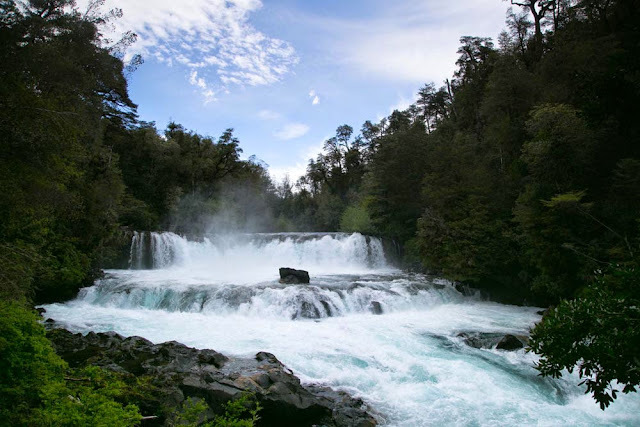 Huilo Huilo is a private Biological Reserve and ecotourism project in the Fourteenth Region of Los Rios, Chile. 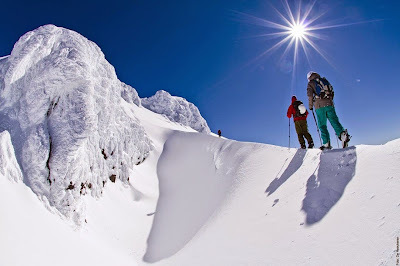 The scenery of this 100,000 hectares Natural Reserve is gorgeous, concentrated in the region are many of the most attractive natural areas of the South American cone. 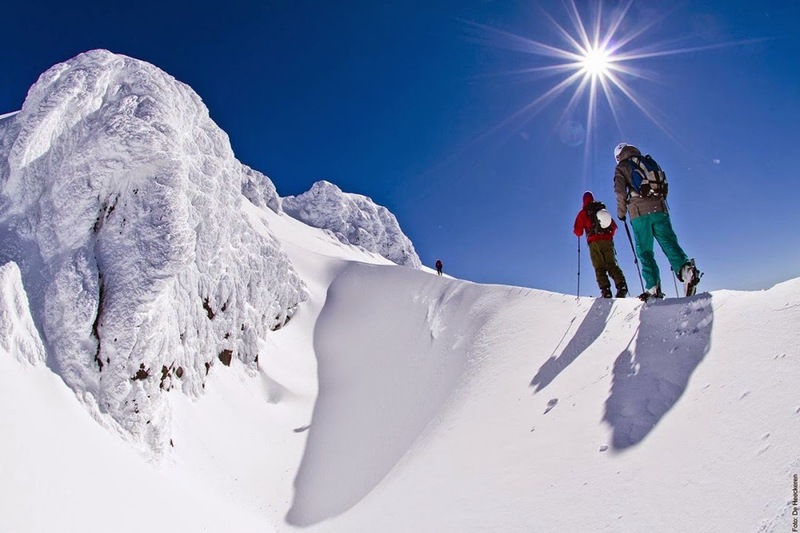 Huilo Huilo is located on the south shore of Pirihueico Lake, nestled in the Andes Mountains, close to the border with the Argentine Republic. The distance to Valdivia, the regional capital, is of 165 km. and to Santiago, capital of the country is 860 km. The architecture of hotels and cottages is amazingly friendly to the environment, giving the sensation to be living a Fairy Tale. The facilities are almost camouflaged with the surroundings and do not interfere at all with the ecosystem. With the magnificent nature as its best partner, the reserve in the heart of the Patagonian rainforest of Chile, offers many tourist programs that can be arranged, either guided or self-guided, from a gentle trekking through some of its many trails to exciting activities such as reaching the top of the Mocho-Choshuenco twin volcanoes, enjoying an unparalleled view of the surroundings or practicing sports related with snow and the mountain. And for Rafting enthusiasts there is no shortage of places, the Fuy river with rapids class III and IV provides the ideal setting for both beginners and experts. The pristine waters that flow from the Andes Mountains give rise to a variety of rivers and lakes where the enthusiasts can practice Recreational Fishing. In this context, stands out the Lodge located on the banks of Lago Quilmo, apart from many other places that make the delights of anglers. There are horseback rides for experienced and inexperienced visitors, very favorable conditions exist also for the practice of Mountain Biking since there is a complete network of bike trails to ride on, with different types of terrain, besides an international competition held every year called Transandes Challenge, which has been considered "the Dakar Rally of mountain bikers", whose main leg takes place here. Another entertaining option is the Canopy Village in the middle of the thick forest, with wonderful rustic cabins, well heated and all the comfort of home, offering routes that have different degrees of difficulty. In Neltume and nearby towns you can also learn from the culture and history of the ancient Mapuche ethnic group through the Educational Route.